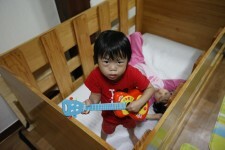 Here is a article about South Korea "BABY BOX" story written by Daum Kim for Reuters. - A South Korean pastor who runs a "baby box" where mothers can leave unwanted infants has seen a sharp increase in the number of newborns being left there because, the pastor says, of a new law aimed at protecting the rights of children. South Korea is trying to shed a reputation of being a source of babies for adoption by people abroad. It is encouraging domestic adoption and tightening up the process of a child's transfer from birth mother to adoptive parents. The law that took effect in August is aimed at ensuring adoption is more transparent and makes it mandatory for parents to register newborns if they want to give them up. But the regulation aimed at seeing more thorough records are kept, though well intentioned, has sparked a surge of undocumented babies being abandoned, said Pastor Lee Jong-rak. "If you look at the letters that mothers leave with their babies, they say they have nowhere to go, and it's because of the new law," Lee told Reuters. Lee, who opened his "baby box" for unwanted infants three years ago, said he had seen the number being left there shoot up from an average of five a month to 10 in August and 14 in September. 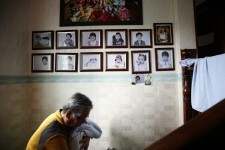 Despite the new law, Lee said he never forced mothers to provide information about the babies they leave in the box, built into the wall of his church in Nangok, a tough working-class neighborhood in the capital, Seoul. Many of the babies abandoned in the box have physical or mental disabilities. Lee has adopted 10 of them himself and is in the process of adopting four more. On a recent sunny afternoon, a bell rang in his church to signal a new baby had been left in the box, a boy about two weeks old wrapped in a blanket. "In the past, babies used to be abandoned at night but nowadays babies are abandoned in the daytime as well," Lee said with a sigh. 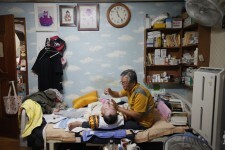 At the moment, Lee is looking after 20 children, aged between 2 and 26, in his cramped two-storey house. Among them, his own son. But a Ministry of Health and Welfare official questioned Lee's assertion that the new law had led to more babies being dropped in the box. "It's hard to say there's a specific causal relationship between the law and babies being abandoned in the box," said the official, who declined to be identified. 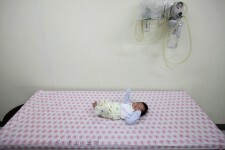 "The sudden surge of the babies could be due to many reasons," said the official. Lee has been criticized by some people who say his box encourages desperate mothers to give up their babies. But Lee says he will not close the box until he was sure the government can offer adequate protection for abandoned babies.